Angelina Bizarro is a talented artisan working with one of the artisan groups we partner with in Guatemala, Maya Traditions. She is a mother to two daughters and three sons. We loved learning more about her work and her views on motherhood. Take a look at her interview below to get to know Angelina! It means you have to be responsible, and it is not a game. It’s a huge job that takes a long time to finish. How has working with Maya Traditions and The Little Market impacted your life and your family’s life? I am thankful first for the help and the work. They have impacted with the education of my children and made it possible for them to study. What is your favorite part of motherhood? To hear my children now that they appreciate and understand the support and sacrifice that I had done for them. To be strong in order to provide them with a life much different than mine. What is something you’d like to teach your children? To work and strive for a better future. To fight for what they want. How has being a mother influenced your life? At 18 years old, I had my first daughter. It changed my life when I was very young. But now I feel happy seeing them grown up and becoming professionals. We were so thankful to get to know Angelina and her story! 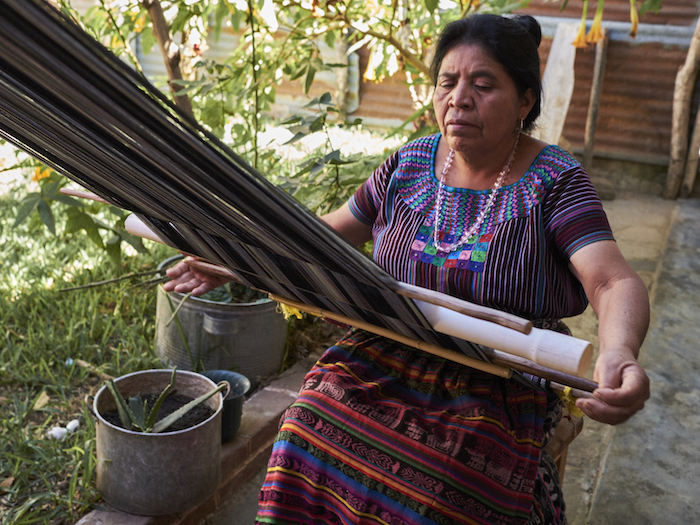 To see our collection from artisans like Angelina at Maya Traditions, visit our site! A special thank you to Angelina, Elisiana Diaz-Martin, and the Maya Traditions team for contributing to our Mother’s Day series!